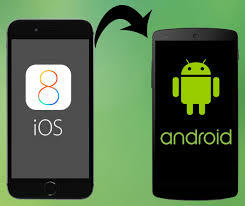 Home / Mobile Phone Tips / Tech Tips / Look at the 5 tips that will aid your smooth transition from iOS to Android. Look at the 5 tips that will aid your smooth transition from iOS to Android. There are so many reasons to change from being an iOS user to Android user. This article will show you some of the things that will prepare your mind as you embark on the Android user journey. 1. You will definitely need a launcher to organize your phone. 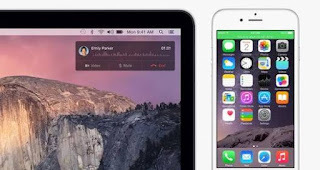 At first start of your new Android device, you will notice it has the similarity to ios. Instead of having all phones look the same with apps and folders in neat little 4-icon rows, Android lets you pick a “launcher” to organize your phone’s home screens. Android can also allow you to customize your new Android phone even if you want it to look like a Windows phone - go to your Android play store and search for your desired launcher, download and install. 2. You have friendly companion 'widgets'. It is of no doubt that some Android users don't get to know how to use the widgets. The work of widgets is to help you instantly access the information you want. Although iOS 8 and iOS 10 expanded where you can place widgets which was not what ios devices used to be, it is still not in any way compared to Android widgets. You can embed your mostly used apps on your widgets which will in return faster your operations. 3. You may want to use third-party apps to move over photos, contacts and other data. Trying to move contacts, photos and other data might get things complicated like losing some of them, you can make use of third-party apps to do the job. 4. When it comes to giving notifications, you can count on Android. With Android, you can still read a bit of your notifications even if the screen is locked. You can customize the sound and also disable the notification if you wish to and this is done by going into the settings on the individual app or by going into notifications on Android settings and go through app-by-app. Trust me you will be highly confused if you start getting every app suggested to you expecially battery saving apps. With the emergence of Doze mode on Android Marshmallow and Nougat, you don't necessarily need those battery saving apps. Also, the data saver Mode in Nougat means you probably don’t need or want those extra data-saver apps from Google Play Store anymore.